Contrary to popular belief, eating out as a vegan isn’t difficult, you don’t have to call ahead and request a special menu or make do with a subpar meal. Eating out as a vegan really is no different than eating out as a meat-eater: you check a menu, decide whether it sounds good, and book a table. When you’re not used to looking for these options it can often seem like they don’t exist. Aside from the very traditional eateries, most places will now cater to dietary requirements by either providing an exclusive menu of specific dishes or a selection of adaptable dishes to choose from. Learning your options and getting familiar with new cuisines will make dining out completely fuss-free. 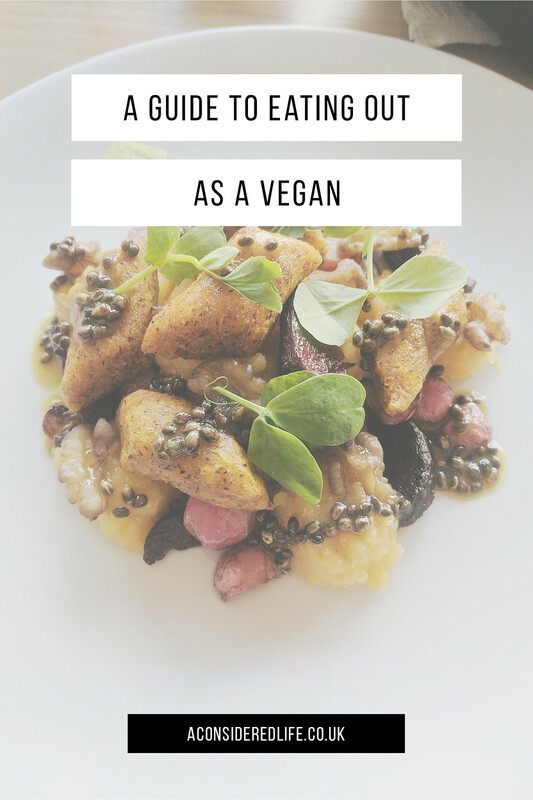 This is a guide to eating out as a vegan without going hungry or feeling like an inconvenience. If you’re eating out with friends, family, or colleagues, make sure you get involved at the planning stage. Don’t let people steamroll you into eating somewhere that is completely unsuitable for your needs. Let people know you have dietary requirements and don’t be afraid to tell people when somewhere isn’t suitable for you to eat. A little heads up to say “this place isn’t good for me” and recommendations on where else to eat avoids awkward situations at the dinner table and empty bellies. There are lots of vegan options available at chain restaurants if that’s your thing but the best food can often be found at local independent or family-run businesses. If you know someone who is vegan, ask them for their favourite spots to eat. Don’t have any vegan friends to lean on for good recommendations? Use the Happy Cow website to find places near you. The app is especially useful when travelling and reviews often list exclusively vegan restaurants alongside dishes from non-vegan restaurants that can be adapted. Most people, not just vegans, will do this anyway to make sure what’s on the menu sounds tasty enough to eat there. A quick check online will confirm whether a particular restaurant is likely to provide you with a good meal or not. If you’re unsure whether a dish is (or can be made) vegan, a quick email or call will confirm it for you. 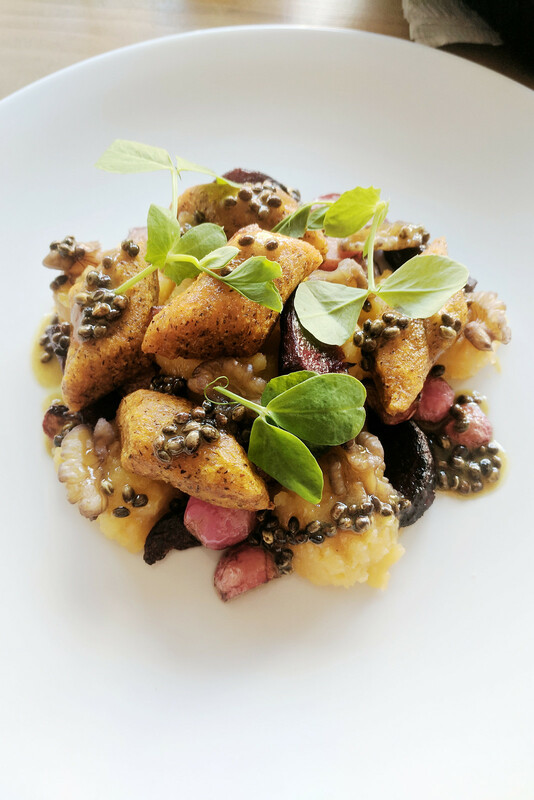 Most places will mark their dishes for dietary requirements or, if they have enough vegan dishes, will create an entirely separate menu that you can ask for on arrival. Don’t presume a dish is vegan just because the menu doesn’t list any animal ingredients. Most menus will provide a short description, occasionally a list of ingredients, but not everything is always included. Similarly, don’t assume a dish isn’t vegan-friendly just because it isn’t marked as vegan. Don't worry about asking questions about the ingredients used or how a dish was prepared, it's really not a problem and no one minds. Traditional British food isn’t usually vegan-friendly so it’s best to avoid pub lunches or cafes (unless they’re the modern type). 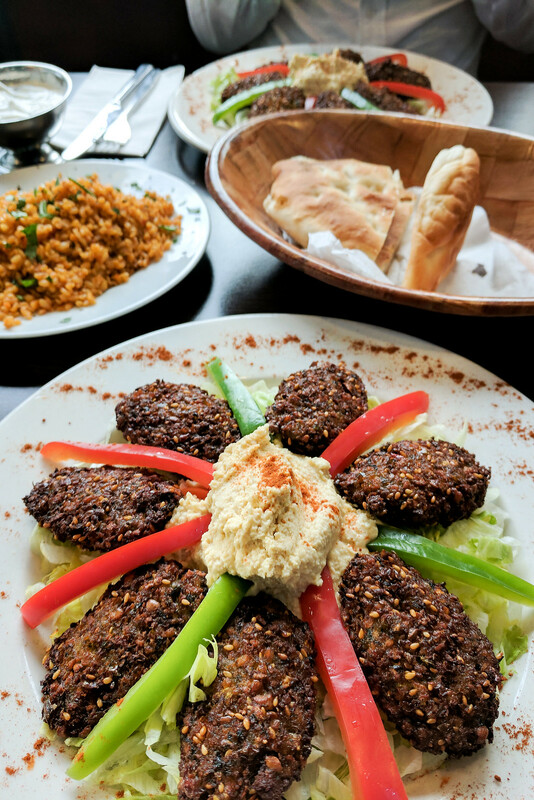 You’ll often find Indian, Ethiopian, Thai, Chinese, Japanese, and Middle Eastern restaurants are much better at providing dishes that happen to be accidentally vegan. Checking a restaurant’s website or dropping them an email will confirm your options. 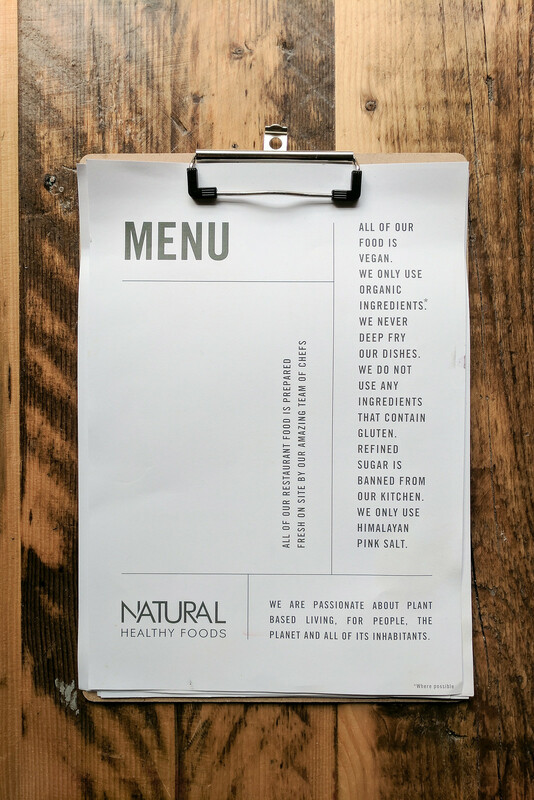 It’s super rare to come across a restaurant that doesn’t understand what being vegan means. Most places understand that a vegan dish means no animal products whatsoever, and can make a suitable meal without any issues. However, there will always be the exception and knowing how to deal with those situations is incredibly important. Make yourself clear, state your dietary requirements, and be as specific as possible to avoid any confusion or misunderstanding. 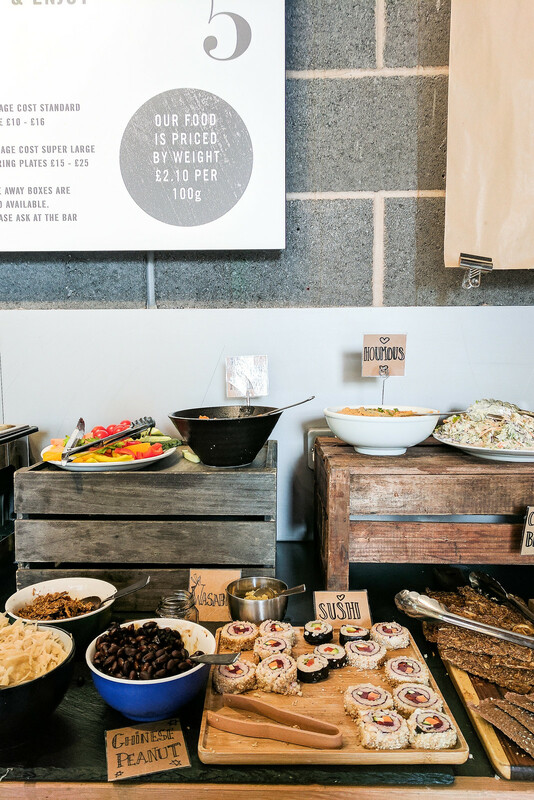 Set menus are often the go-to choice for organised events such as work lunches, weddings, birthdays, and festive parties. If you’re invited to one of these events, get the organiser to check your options with the chef. Do not feel awkward requesting a suitable dish be made for your dietary requirements. You might find you end up with only a main rather than a full set meal, however, it’s important you aren’t overlooked just because you have dietary requirements. If you’re all out of options or stuck somewhere you wouldn’t have chosen to eat if you’d had the choice, going for the sides is the failsafe option. Most restaurants will offer a selection of sides that are either vegan already or can be slightly adapted by making a couple of switches. It’s a last resort but at least you won’t go hungry; just make a point of mentioning to the person who chose the restaurant that it isn’t really an inclusive place to eat. This tip could be useful for anyone who suffers with food rage: pack snacks everywhere you go. It will help stave off hunger pains while you look for a place to eat. If you haven’t had time to look for suitable restaurants ahead of time, you’re delayed on public transport, or you’re wandering the streets in an unknown country - snacks will save you. Snacks are the one thing that can help you avoid those stress-inducing moments of crippling hunger without anywhere to buy food or the patience to look. Here is a list of snacks and light meals you can make and take with you.